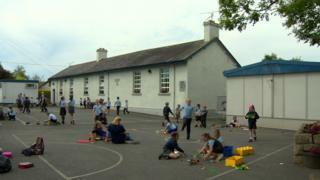 Pupils at Moneydarragh Primary School in County Down have closed their books for the last time. 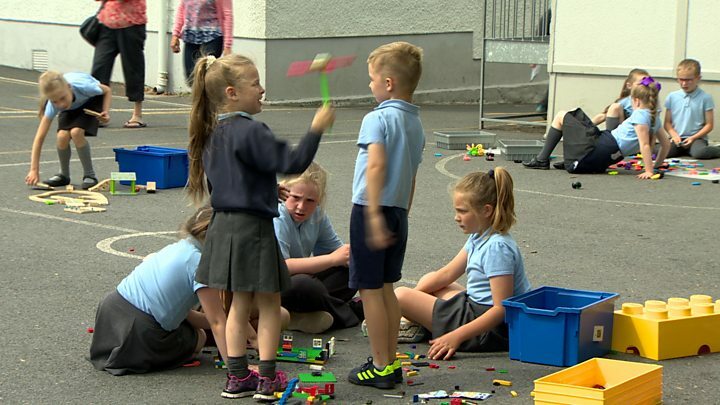 The former hedge school in Annalong is amalgamating with three other small primaries in the area, to create St Columban's in Kilkeel. Moneydarragh Primary has been part of the small community for more than 100 years. Phonsie Harrison, 94, and 89-year-old Mary Rooney, are among the oldest former pupils of the school. It is more than 80 years since they studied at Moneydarragh. 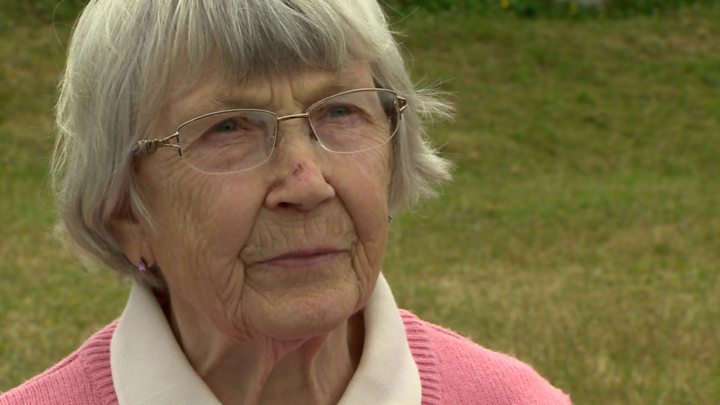 "Times have changed, moved on, there are better times now," said Mrs Rooney. "It was very basic when we were at school. "I was very happy at school, I loved it. I'd just love to go back again if that were possible. "I'm very sad that the school is closing. It was the centre of this whole area." Mr Harrison remembers his days at the school - focusing less on the lessons, and more on the entertainment. "The master used to take us up around the table and I stuck a pin in a girl. I laughed and I got corrected by the master," he said. "All things must change. We've got to be in the modern times now." The closure of Moneydarragh means grandparent Danny Rodgers has done the school run for the last time. Many generations of his family have passed through these classrooms. "My great, great grandparents, my father, his father, myself, my children and now my grandchildren at the school," he said. "This is the last day after over 100 years of our family being at this school. It's the end of the line. "It's a day filled with a lot of emotions. Some very happy memories here and sad that it's come to an end." He added: "I remember coming here on my first day and I came with a neighbour and I came in a horse and cart and he left me off at the gate and he said 'you've a long road ahead of you'. "It just seems like yesterday. At that time, the boys all had hobnail boots and the girls wore long dresses. "We learned all our history and everything about the whole world was all taught here. "There were only three rooms and three teachers. Everybody knew everybody and everybody had a name." Julie McAuley was Moneydarragh's last principal. She worked there for a year and her teaching career ends with the closure of the school. "It is the hub and heart of this community and it will be missed," she said. "It's hoped that the new school will be able to preserve what is important about that, as well as being able to provide new resources and other opportunities for our children too. "Parents were sad this morning bringing their children to school. "They were a little bit tearful and the reminiscing was a little bit bittersweet, but I think everybody feels that we have all been privileged either to have passed through this school as a pupil or to have had a child at the school."